Mvumi Secondary School has a unit to educate blind pupils from Buigiri Primary School. We currently have 25 students in the unit. 'Blind' encompasses visually impaired pupils as well as blind students. The unit puts Mvumi at the forefront of top-quality and innovative education for the visually impaired in Tanzania. Government policy is for children with disabilities to be educated in an integrated environment. Buigiri School is a primary school for blind children at Buigiri, some 30 kilometres from Mvumi. Buigiri is the only school in the district for blind, visually impaired and albino students. However, at secondary level in Tanzania, provision for blind pupils is uneven. In 2008, the Anglican Diocese of Central Tanganyika, under whose auspices DCT Mvumi Secondary School and Buigiri Schools function, developed a 10-year partnership with the Ministry of Education under which up to eight children leaving Buigiri School each year transfer to Mvumi Secondary School, where they receive a quality education. Special Needs teachers are working with other staff to ensure the blind pupils benefit from the full life of the school. This partnership is currently being extended for another 10 years. The number of visually impaired students sponsored by the Trust now depends on the number of sponsors available. A very generous grant from ICAP plc, an international FTSE 100 company, to Mvumi School Trust initially enabled the school to provide: two new staff houses at Mvumi for Special Needs teachers, the ICAP Block containing facilities, together with a resource room and storage for Braille equipment, braille machines, braille duplicating machine, funding for boarding and tuition for Mvumi's blind and severely visually impaired pupils. This funding provided funds from 2008 to 2017. Blind and visually impaired students are now sponsored by individuals. The Government supplies four fully-trained Special Needs Teachers and pays their salaries, provides some Braille paper, provides some money to help maintain the Braille machines, and replaced Braille machines in 2017. There is still a great shortage of braille text books covering the Tanzanian O-Level syllabus. 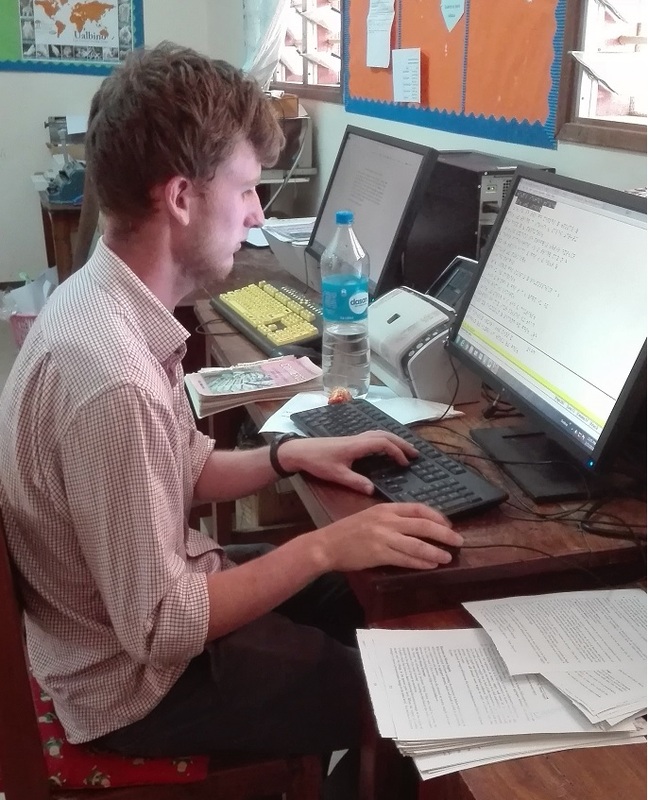 In July 2018, Anglican Aid Australia, very generously donated funding to convert Tanzanian Secondary School Text books into braille. 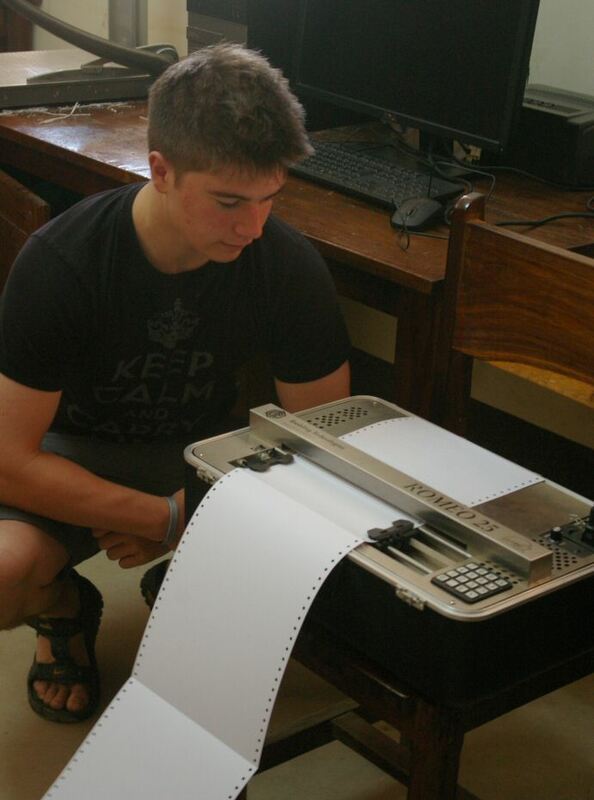 The Trust will be working with the Tanzanian Braille Printing Press in this venture. We thank Brian Atkins for his preparatory work on this project. Visual Impairment Technology Room. 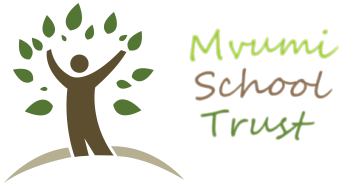 The Trust is currently raising money to convert one of the classrooms in installed to keep the dust out, and electrical outlets fitted around the walls. Acquisition of desktop computers, laptops and other assistive technology is also needed. Visitors outside of the day-to-day workings of the VI Unit, need to obtain the approval of the Head of the Unit, in consultation with the Headmaster and the Trust, before any visits or initiatives are undertaken. Any communications originating from outside of Tanzania regarding the work of the VI Unit, should be sent to the Trust (i.e. the Board member with specific responsibility, who in turn will communicate with all appropriate Trust members and representatives). Discussions with third parties regarding any equipment for the VI Unit should be addressed to the relevant Trust Board Member, in the first instance. Supporters of the Unit are requested to work within the guidelines from the Headmaster, that all equipment for the VI Unit is sent to the Trust Representative in the first instance, to ensure that it is required, appropriately named and catalogued. Our student sponsorship programme includes opportunities to sponsor individuals at the Visual Impairment Unit. Please see our Sponsor a Student page for details.